I love strawberries and always look forward to them coming into season. I enjoy visiting strawberry farms and picking my own to create delicious recipes with. 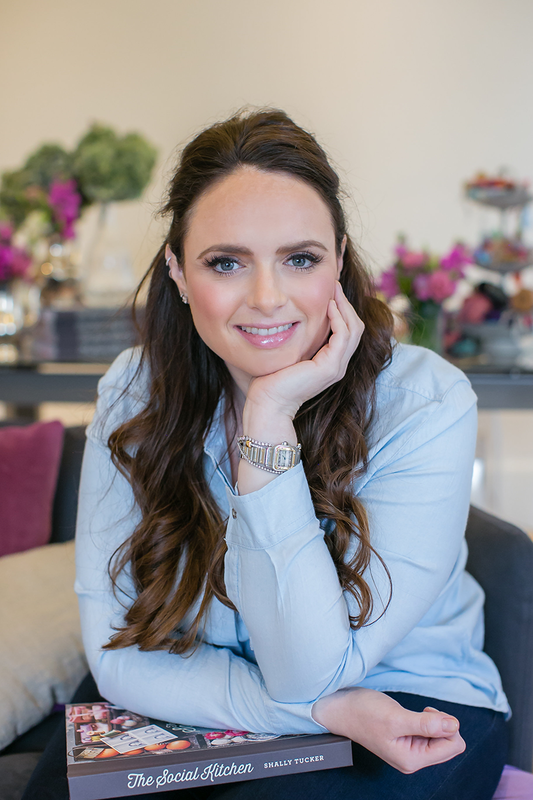 I’ve included some of my favourite recipe ideas for using this ruby red jewel. These red ruby babies are so indulgent and simply irresistible. Quite frankly, chocolate dipped anything gets my vote but there's something about dipped strawberries which ooze sexiness and luxury. They're so easy to make and great to make the night before a party- here's how to do it. Wash and dry all of the strawberries fully beforehand to remove any dirt. Make sure that the strawberries are completely dry otherwise, the chocolate may not grip onto the strawberry. Take a saucepan filled halfway with water and bring to a simmer. Break the chocolate into small pieces and add to a large glass mixing bowl. (This glass mixing bowl must be tough enough to withstand strong heat). Place the bowl of chocolate pieces on top of the saucepan whilst simmering. Ensure that the bottom of the bowl doesn't touch the water, if this is the case, simply empty some water out of the saucepan. Stir the chocolate to encourage it to melt evenly. Once all the chocolate has fully melted, take the bowl off of the saucepan and plan on a tea towel on the side and let cool for 30 seconds. Holding onto the stalk of the berry, dip each strawberry into the melted chocolate so that it's fully coated. 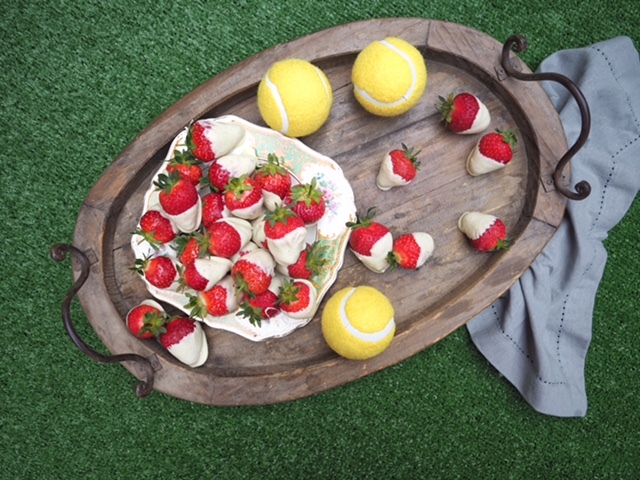 Place each strawberry onto a sheet of baking paper to prevent any chocolate from sticking to the tray. Once all strawberries are coated in yummy melted chocolate, it's time to pop them into the fridge for 20-30 minutes until the chocolate becomes completely hard. Then, display them proudly on the table and enjoy! These strawberry sponge cake skewers couldn’t be any easier to make. 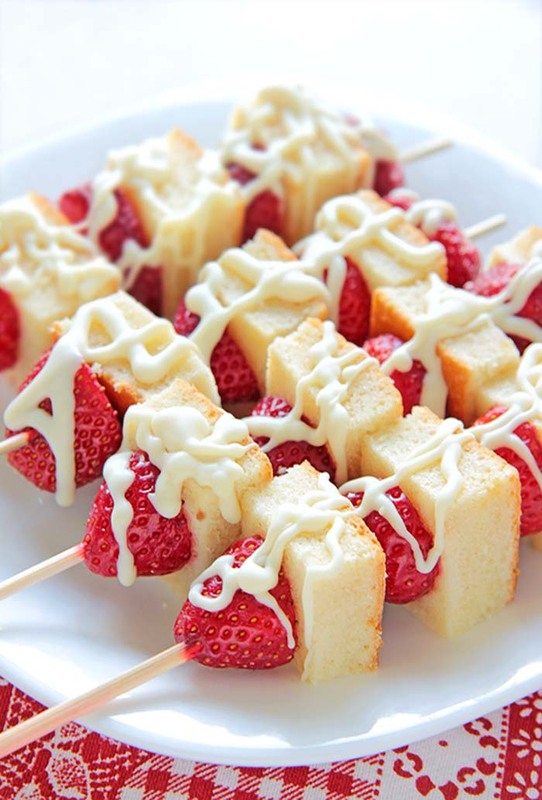 With a plain vanilla sponge cake cut into bite-sized squares, a few strawberries (halved), skewers and some greek yogurt or some melted white chocolate for the drizzle. If your strawberries are starting to go a bit soft, don’t throw them away. Overripe strawberries still, have a great depth of flavour and are perfect for milkshakes. 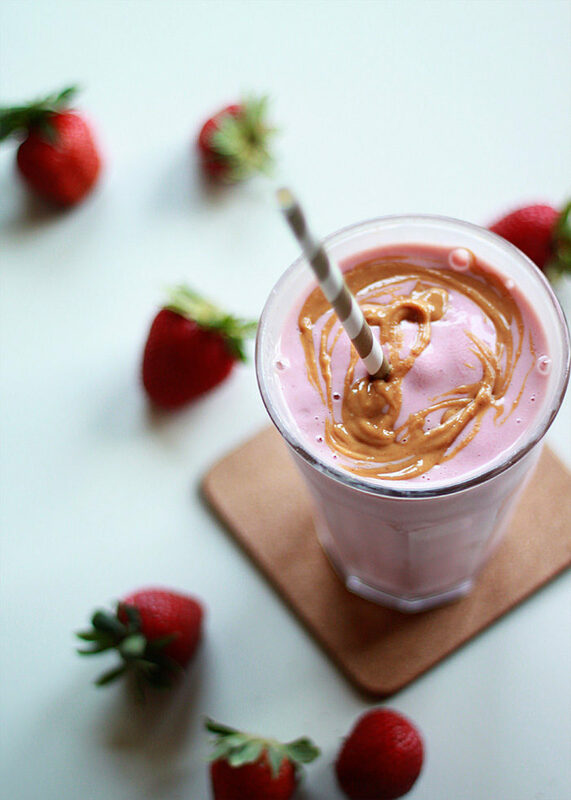 This peanut butter and jelly inspired milkshake looks so delicious and is definitely on my list of items to make with my strawberries. Ok, something a bit different mixing strawberries with ricotta cheese. 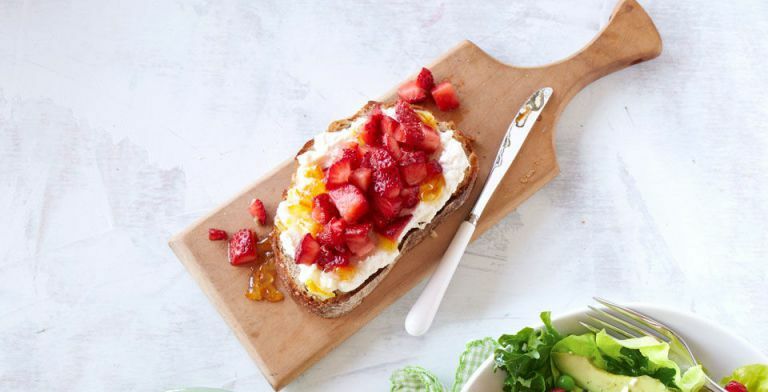 It might sound bizarre but the combination of creaminess from the cheese is cut through by the sweetness and the acidity from the strawberries. It actually tastes like a savory version of strawberries and cream, you really have to try it to find out for yourselves guys. 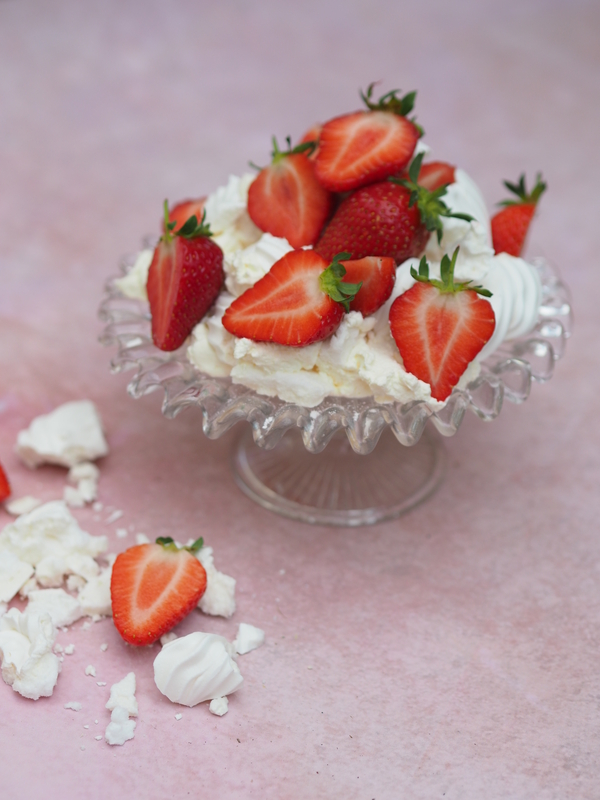 Eton mess is such a classic dessert and fuss free which is why I love it. Break and crumble some meringue into a bowl, add strawberries and fresh whipped cream and stir it all together- it’s that easy and so tasty.